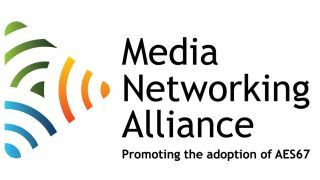 TheMedia Networking Alliance (MNA) has joined with the Audio Engineering Society (AES), the Alliance for IP Media Solutions (AIMS), the Advanced Media Workflow Association (AMWA), the European Broadcasting Union (EBU), IABM (the international trade association for suppliers of broadcast and media technology), the Society of Motion Picture and Television Engineers (SMPTE) and the Video Services Forum (VSF) to develop the IP Showcase at the 2017 NAB Show. The collaboration of eight broadcast and professional audio industry organizations aims to emphasize media industry-wide importance of the initiative in promoting IP interoperability in a standards based approach to IP-based workflows in broadcasting. The IP Showcase will demonstrate interoperability of four parts of the new SMPTE ST 2110 standard, pertaining to video, audio, control, and metadata. SMPTE ST 2110 is currently at an advanced draft stage and is widely projected as a fundamental development in a transition to full-IP workflows in broadcast, based on common open standards. Located in the North Hall, booth N4824, the IP Showcase will aim to provide a holistic view of industry alignment, action, and transformation with respect to production, contribution, and primary distribution workflows over internet protocol (IP). This attraction features a full schedule of must-see IP education sessions within its IP Showcase Theatre. The pavilion will assist professionals including broadcast/IT engineers, CEOs, and producers to determine how they can leverage benefits of the draft SMPTE ST 2110 specifications. Visitors will see engineering progress along with real-world examples of IP applications from leading networks and program-makers. "AIMS is pleased that the MNA has joined the ranks of IP Showcase sponsors,” said Michael Cronk, chairman of AIMS. “The MNA has demonstrated a commitment to promoting standards based interoperability for audio based on AES67, a foundational standard for the broadcast industry." The MNA was established in 2014 for the purpose of promoting awareness and adoption of the high-performance AES67 AoIP interoperability open standard. The inclusion of AES67, in defining the audio element of the new SMPTE ST 2110 standard, acknowledges the rapid and widespread adoption of AES67 in providing signal interoperability across all of the current leading IP based audio networking protocols.